The crashing majority of Android devices use on-screen soft keys for a variety of purposes including backwards navigation and accessing the multi-tasking screen. Those buttons are the bottom are extremely useful but also take up a fair amount of space in your screen. Google is indeed aware of the issue and tried to introduce some healing changes in Android 4.4 KitKat but it is still not quite there yet. Rid yourself of despair, however, for there are ways to reclaim that precious real estate in your screen by using third-party tools. This guide will attempt to cover both standard and root-only apps that can deliver the same features, more or less. Since I am only going to describe the apps to you without delving into the more technical details too much, please feel free to drop a comment down below if you are in need of any assistance and I will get back to you as soon as possible. You should also make sure to share any apps that were not mentioned in the article or visit the forum for more in-depth discussions. Though I am not a fan of the drawn-out name, GMD is secretly my favorite of the group merely because it still works on most Lollipop devices despite the fact that it has not been updated since December 2014. The developers of the app have been trying to make Android more immersive even before Google introduced the ability to hide the buttons in specific apps with 4.4 KitKat. If you choose to install this app, I highly recommend that you head over to the Settings immediately in order to enable the constant GMD notification which will let you choose between the different immersive modes. 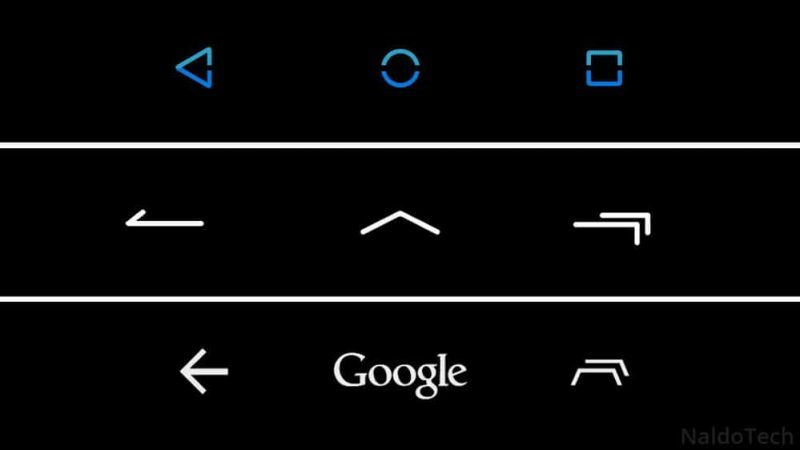 The first one is the default one which you should use whenever you wish to use the keyboard as the immersive modes usually break it. The hidden soft keys and hidden soft keys + status bar modes do exactly what they say. Finally, you will have the option to temporarily enable the soft keys simply by swiping up from the bottom of your screen. Power Toggles is a much different app but it can easily be used for the same purpose. After you install the app, tap on the “Add Toggle” button and select the “Immersive mode” option. Once you do that you will be able to tap on the “Immersive mode” toggle from your home screen or the Power Toggles widget in one of your home screens. The app/widget is brilliant for those who are looking for some extra functionality and a very quick way to get into immersive mode. The only problem is that Power Toggles can be quite buggy in Lollipop so if you are using that version of Android, you should expect some trouble. As always, Xposed is always there to save the day with its huge selection of modules that can customize every single aspect of Android devices. For the first choice of Xposed modules I present Immerse Me. After installing the module, your device will be in immersive mode all the time. The status and navigation bars can always be pulled down so you will have access to them whenever you want. The second module is aimed at those who are looking for more specific solutions to their problems. The Force Immersive Mode on chosen apps module could not have a more descriptive name if it tried to. You choose the apps you want to view in immersive mode and the module takes care of everything else automatically. If you absolutely want to see the soft keys go because you harbor a fiery hatred towards them then you can replace the standard navigation bar with another way of accessing different areas of your phone. This will completely disable the soft keys so you should already have a different method of navigating your Android phone such a swipe-based ROM or an app like Pie Control which lets you add a navigational panel in any screen.